Samuel Zurkinden joins CoBe Capital as an Associate on the Mergers and Acquisitions team. New York, New York – CoBe Capital, a global private investment firm focused on the acquisition and management of non-core business units from large corporations, is pleased to announce that Samuel Zurkinden has been hired as an Associate on the Mergers and Acquisitions team. 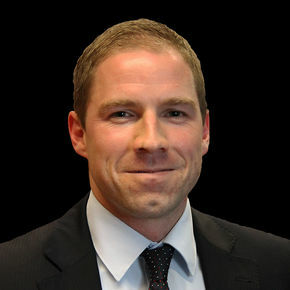 “We welcome Samuel to CoBe Capital and look forward to his contributions on new acquisitions. His strong corporate background and experience in finance will make him well suited to contribute immediately on corporate divestitures,” stated Darren Chaffee, Managing Director at CoBe Capital. Mr. Zurkinden will be responsible for financial analysis and due diligence on new acquisition opportunities and will work with CoBe Capital’s M&A and Operations executives on the development and implementation of transition and integration plans, as well as on initiatives to strengthen operational excellence at portfolio companies. Most recently, Mr. Zurkinden worked in the M&A department of Alpiq, Switzerland’s largest utility company, as well as for a small management consulting firm with a focus on operational excellence and supply chain management. Mr. Zurkinden received both a B.A. and M.A. in International Affairs from the University of St. Gallen, Switzerland (HSG) and graduated with a Master’s in International Management from CEMS, a global alliance of leading business schools. He is working towards his CFA designation and is currently a candidate for Level II. Mr. Zurkinden is fluent in English and German and conversant in French and Spanish.